I recently had the pleasure of taking on my very first digital marketing intern. Nearing the end of last year, a close friend of mine within the digital space introduced me to a student who was not only enthusiastic about digital marketing, but was also eager to improve her skillset prior to graduating. I connected with the student and followed her work. I was thoroughly impressed with the candidate and decided to take her on board my team for a 4-week internship. Finding a job right after graduating was definitely no easy feat for myself. I can remember the difficulty of trying to get my foot in the door, only wishing that I’d been given the opportunity to gain valuable experience through more hands-on internships. Over the period of 4 weeks, I aimed to share as much of my collective knowledge and insights with my intern as possible. I also wanted to use this opportunity to up-skill myself and experience first-hand what it’s like to begin managing a team of my own. So let’s say you’ve just landed yourself your first internship, congratulations! What do you do now? How can you make sure you learn as much as possible while also leaving a lasting impression? 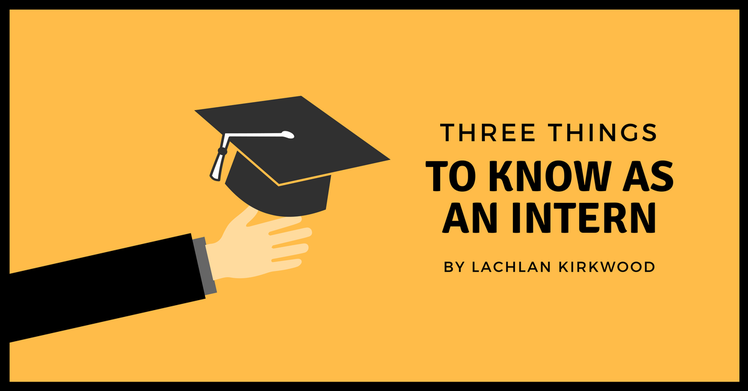 From a managers perspective, here are three of my top tips I’d give to any current or future interns. If you’re an intern, you’ll need to understand that it does take time to prepare suitable working tasks, and that project onboarding is also a process that can quickly accumulate hours. Between completing allocated tasks, I’d recommend using your initiative to revise work you’ve just completed, research anything you may not have entirely understood, or even find similar tasks that could be addressed. This will not only showcase your initiative, but will also minimise downtime for your manager. In my opinion, this is a crucial skill for an intern to posses, and it’s a sure way to show you’re suitability for a role. Suiting an organisations culture is an essential part of almost every role nowadays, so it’s important to leverage your time as an intern to do just that. Show that you’re genuinely interested in not only the organisation, but also the people behind it. Take the time to engage with other individuals across different departments and have an understanding of what it is exactly that they do. This will help you understand a more holistic view of a company, and can help you better interpret their unique value proposition. Most entry levels jobs are attributed to your attitude, not entirely your aptitude, so it’s important to show your enthusiasm. As ironic as this sounds, an intern shouldn’t visualise themselves as just an intern, but instead as a valued member of an organisation. Don’t be afraid to give your opinions and ideas, and don’t be afraid to hold accountability for tasks. Have a passion for what you’re doing and put your hand up for any task that gets thrown your way. Although I’m a religious believer in asking questions, think before you ask something. Use your initiative to self-source an answer before touching base with anyone else. Show that you’re both confident and competent. If my intern was anything to gauge off, I have no doubt in how well the next generation of digital talent will perform. Current students have a thirst for learning and show such a genuine passion for the industry. Younger generations know what it takes to stand out, and have a real understanding for the importance of personal branding, knowing the industry, and hands-on training. All-in-all, taking on an intern was a fantastic learning opportunity for all parties. Although it was an absolute pleasure to teach someone skills of my own, I also learnt so much throughout the process. About Lachlan: I’m a twenty-two year old Digital Marketing & Conversions Specialist based in Brisbane, Australia. With a passion for all things digital and tech, I aim to connect and learn from as many like-minded digital enthusiasts as possible. If you have a passion for emerging technologies and digital practices, I’d love to connect and hear your story.